Zimbabwe is a landlocked country in Africa, of 39 075 700 hectares, bordered by South Africa, Mozambique, Botswana and Zambia. Altitudes range from around 500 meters in the northern Zambezi Valley to 1500 meters in the high-veld and then slope down again to around 300 meters in the south-east Low-veld. Zimbabwe also has some of the world's most ancient rock formations known generally as the Basement Complex. Large scale faulting in the distant past has been responsible for the creation of the Middle Zambezi Valley in the north and the Save Valley in the east. Zimbabwe, land of the mighty Zambezi River and the world renowned Zambezi Valley. Over 29 species for you to choose from and with safaris designed specifically to suit your needs we have something for everybody from the first timer to the serious trophy hunter. Zimbabwe is home to an Elephant population estimated at 100,000 animals. Lion and Leopard hunting are also allowed. Zimbabwean Leopards are well known for their size. It is worth mentioning that among the cats, Cheetah hunting is also permitted. Large herds of Buffalo can also be found in Zimbabwe. Zimbabwe is also home to a large variety of antelope as well, among these, a strong population of Sable, additionally one can also hunt in Zimbabwe Roan Antelope, Cape Eland, Lesser Kudu, Forest Nyala, Blue Wildebeest, Tsessebe, Common Waterbuck, Impala, Burchell’s Zebra Reedbuck, Bushbuck, Bush pig, Warthog, Common Duiker, Steenbok and Klipspringer are abundant in most of the rivers and can also be hunted. 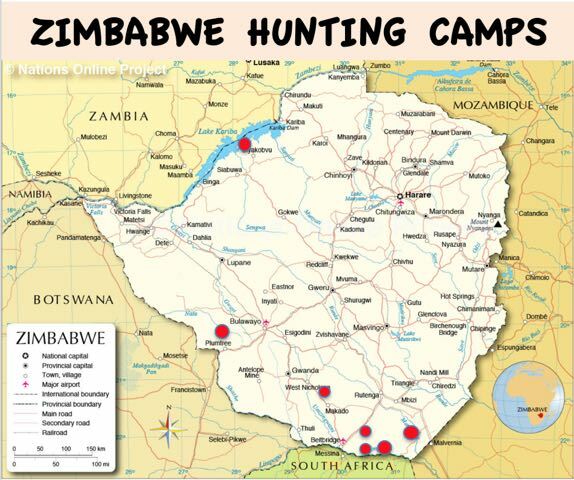 The hunting areas are spread out over a large part of Zimbabwe. 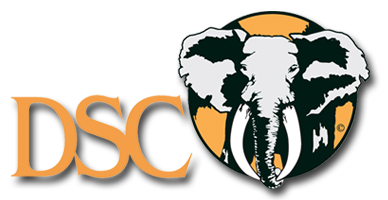 Hunting is permitted in three different types of areas: governmental hunting areas, tribal hunting areas and private hunting areas. Each one of these hunting areas has their own hunting rules. Governmental areas and the private territories are huge and can reach hundreds of thousands of acres. All these territories are free range non-fenced and open. The vegetation of Zimbabwe consists mostly of Mopane forests, one of the more common trees of southern Africa and dry and grassy savanna broken up by areas of dense forest. In Zimbabwe hunting is done on foot but given the vastness of the hunting areas, it is often necessary to travel by vehicle. The hunting areas are not very rugged and the actual hunting is not especially physically rigorous. Depending upon the location of the hunting area, most are accessible by road from the country’s capital, Harare, or from a secondary city, like Victoria Falls. The roads are good and drive time averages 3 to 6 hours. But since many hunting areas have their own airstrip, transfer by chartered plane will often be possible. The following packing list is more than sufficient for your safari, as the staff on a daily basis will do laundry. This list must include the clothes worn to and from Africa. In terms of colors, dark/olive green and brown are best for hunting.Special attention should be paid to the quietest clothing and footwear possible. For animals hunted from a blind,absolute silence is a MUST! which rains may be expected. Winter is May to September and average temperatures during the day are 20 Celsius, but can drop much lower at night. Very little rain can be expected at this time.Although game viewing and safari activities take place year round, the game is more easily visible during Winter when the vegetation dries off. By Air: Main airports are at Harare, Bulawayo and Victoria Falls with flights to Johannesburg, Cape Town and other regional destinations from Victoria Falls and Harare. By Road: Surfaced highways link the capital, Harare, with Bulawayo, Hwange, Victoria Falls, Kariba, the Eastern Highlands, Mutare and the Lowveld.Travellers by road may enter Zimbabwe from South Africa through Beitbridge, from Botswana through Plumtree or Victoria Falls, from Namibia through Victoria Falls, from Zambia through Victoria Falls, Kariba or Chirundu and from Mozambique through Mutare or Nyamapanda. Zimbabwe's vegetation is covered principally by tropical woodlands and savannas interspersed with areas of grassland. On the central plateau over 1200m the dominant vegetation is savanna woodland with the predominant tree being the "Msasa". Vleis consisting of moist grassland occur along the drainage lines in both woodland and savanna.Below 900m we have a more deciduous tree savanna with the Mopane woodlands of the hot, dry river valley systems as in the Middle Zambezi, characterised by many Baobabs. A palm savanna also occurs in more limited areas.In the eastern highlands, with the increase in rainfall and cooler temperatures, Mopane vegetation predominates and Giant Heath occurs. Malaria preventative medicines are necessary in most of Zimbabwe, particularly in the big game areas in the Zambezi Valley and Lowveld.A pyrimethamine/dapsone combination drug taken once a week is generally used locally, and Chloroquine is first choice of malaria treatment in Zimbabwe. Bilharzia is present in many dams and rivers and it is advisable to make minimal contact with this water. However, Bilharzia is easily curable by Biltricide or similar medication.We would suggest bringing a supply of aspirin,anti-diarrhea,etc. just in case. Electricity supply is 220-240V a.c. accessible via 13amp square pinned fused plug - Please bringyour own converters & adapters.